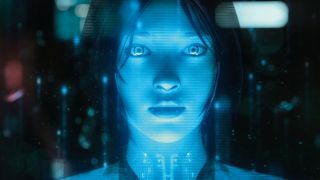 Microsoft’s digital assistant Cortana is already a presence in our phones, our PCs, our tablets, our Xboxes, and now she’s coming to our cars. Well, BMW’s cars. At this year’s CES in Las Vegas, BMW has been showing off what it has planned for the future of its cars and its digital platform, BMW Connected. The platform allows BMW owners to access a wide range of digital services inside and outside their cars and the company is using Microsoft’s Cortana to enhance the experience. Basically, it seems that BMW will lift the Cortana user experience we’ve become familiar with through our phones and PCs and use it in an in-car app. This means that BMW cars will be able to use Cortana’s voice-controlled commands, receive reminders of their schedule while driving, or perform internet searches and make restaurant reservations without having to take their hands off the wheel or their eyes off the road. It’ll be like having a genuinely useful person in your passenger seat rather than someone who eats smelly fast food and critiques your driving. BMW’s announcement of its planned Cortana integration has come just ahead of Nissan’s keynote at CES, where it’s been rumored the company is planning to announce its own Cortana connected dashboards. BMW might have beaten Nissan to the punch as far as announcements are concerned, but that doesn’t mean we know exactly when we can expect to see Cortana features introduced into its cars. BMW made it clear this is a vision, albeit a tangible one, for the future so it might be a while yet before we’re taking road trips with Cortana.